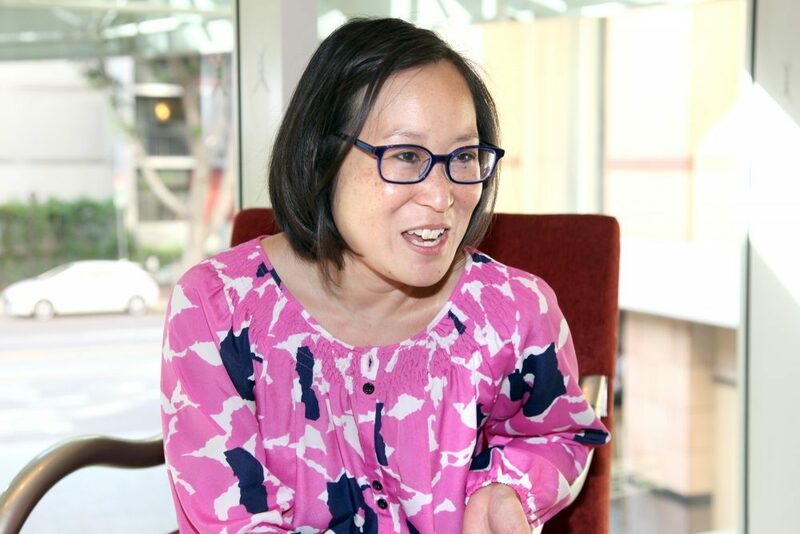 Leslie Ito is president and CEO of the Japanese American Cultural & Community Center (JACCC) in Los Angeles. She also has served as executive director of Visual Communications, the nation’s premiere Asian American media arts organization. Before participating in a panel asking “What Does the Public Want from the Arts?” at a Zócalo conference in downtown Los Angeles entitled “What Can the World Teach California About Arts Engagement?” she answered some questions in the green room about comfort food, the film that changed her life, and the taco stand where she takes visiting friends. My comfort is always a good bowl of noodle soup of any region. Who is the person, living or dead, you’d like to have a beer with? I ask people that question all the time but never answer it myself! I would like to sit down with Sen no Rikyū, the 16th century Japanese tea ceremony master. I’m trying to make the Japanese tea ceremony more relevant to contemporary society. I tap my foot. I don’t dance because I have two left feet. It could be world music or R&B. Recently I received a poem. It was by an Armenian poet and it was about losing a parent. It really helped give me perspective. It’s in my purse. Yes. Fetchin. She was a Lhasa Apso. What do you think about in traffic? I’m thinking about my to-do list. I’m thinking about strategy, about how to make arts accessible to local audiences. What’s your favorite art experience? As a child my grandparents took me and my sister to a film screening about the Japanese-American internment. It wasn’t something we’d talked about much in my family. The film was made by Visual Communications. It stands out in my mind because it was the first time I’d seen moving images of the experience. The way it was told spoke to a general audience. I remember all of my senses. All cadences of the spoken words. I remember the rush of air from the AC. It shows the impact of the arts for untold histories and histories that are difficult to talk about. Hand-drawn portraits of the family, created by my daughter. It’s an older piece called Wild Meat and the Bully Burgers. It’s a coming-of-age story told in English and Hawaiian pidgin by Lois-Ann Yamanaka. It’s a really raw piece of literature, controversial at the time it was written because of the socio-economic hierarchies in Hawaii. The dialogue it created was important. Where do you take visitors in L.A.? I take them to a good Mexican restaurant or to my favorite taco stand.